We joined the mobile fablab project that was enabled by Innoviris. Find more at www.fablabmobile.brussels. La Jaqueline is making sound modules that fit in the Vélo M² platform. La Jacqueline est un collectif musical bruxellois rassemblant des amoureux de musique, des makers et des cyclistes qui fabriquent des soundsystems mobiles pour faciliter la diffusion de musique en plein air. Nous organisons des events publics et privés. This summer we decided to join OpenFab, a FabLab that is 100% independent, that creates an ecosystem to combine the capacities of everyone to become a catalyser of innovation and creativity. This gilde 2.0 that advocates the Open Source concept, starting with the machines to the spreading of the information. 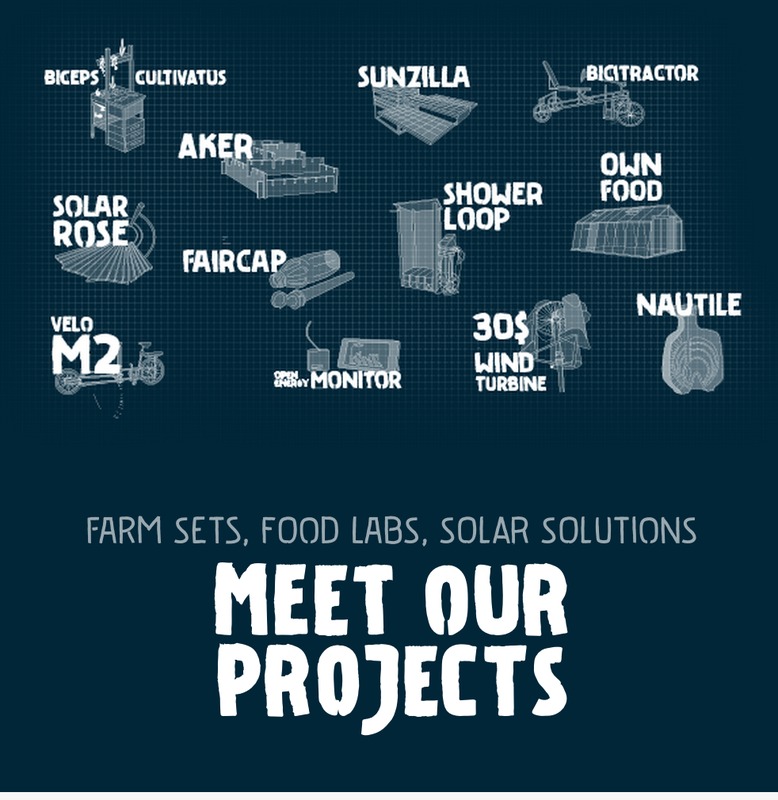 We are proud to be part of the portefeuille of the foundation of Be-Planet. The neighborhood around the canal in Molenbeek is always been a place of change and transition. People have it difficult to acquire the public space. With Canal d’Accroche, a project funded by the city we are developing mobile tools by using Vélo M2 to help those people reuse the public space around them. From gardening workshops, building sessions and open air screenings we will experiment with the locals how to appropriate public space. More info can be found here: http://captainlysander.wixsite.com/canalaccroche. We have been invited to join the POC 21 camp during the summer of 2015, where we developed the prototype of the Vélo M2 project. POC21 is an international innovation community, that started as an innovation camp. The camp brought together 100+ makers, designers, engineers, scientists and geeks. Late summer 2015, we have joined forces in a stunning french castle to prototype the fossil free, zero waste society. Our ultimate goal was to overcome the destructive consumer culture and make open-source, sustainable products the new normal. Over the course of 5 weeks we developed 12 sustainable lifestyle technologies and built an international community of innovators and supporters, that continues to grow.